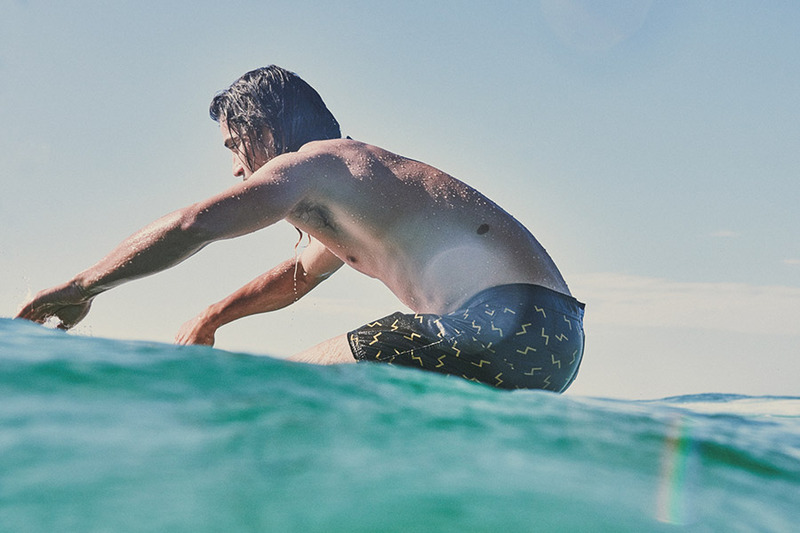 From thunderstorms to sunny skies, Sydney weather can be wild but that’s why we love it. 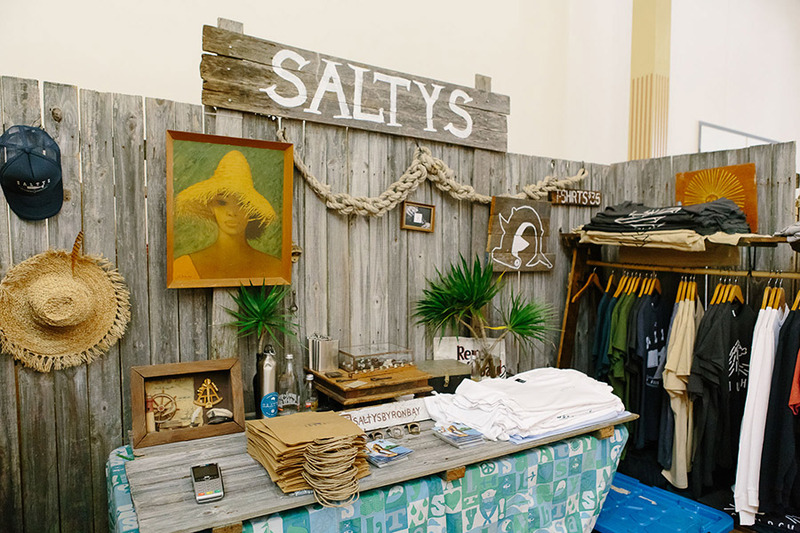 Speaking of perfect beach weather, make sure you catch Salty’s at our market this weekend. 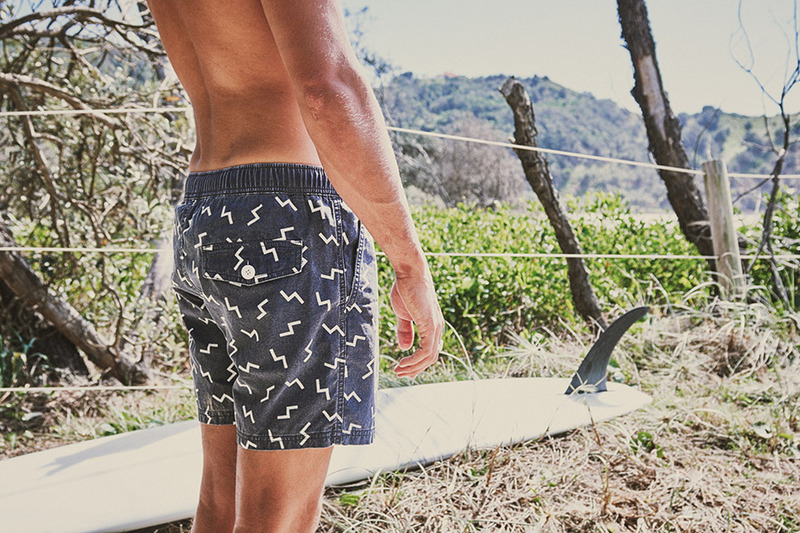 You’ll find small run surf apparel with an accent on colourful yardage prints and limited branding. 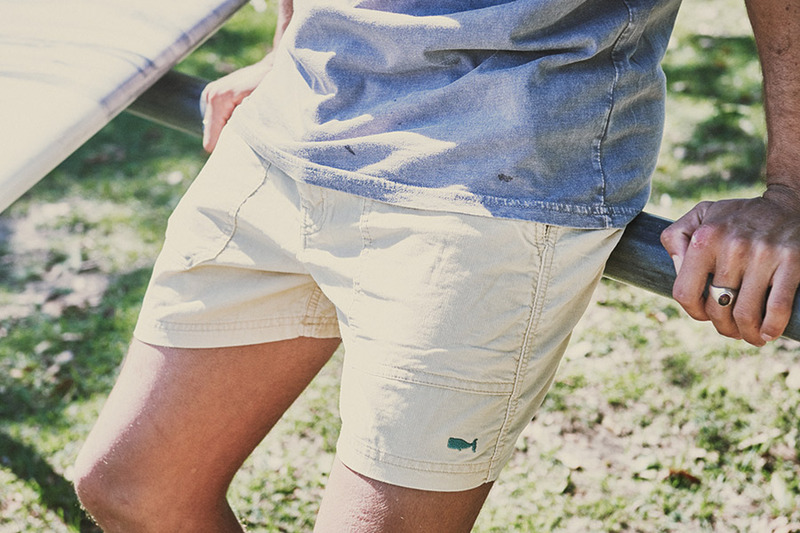 Read on for our interview with legend Brent. 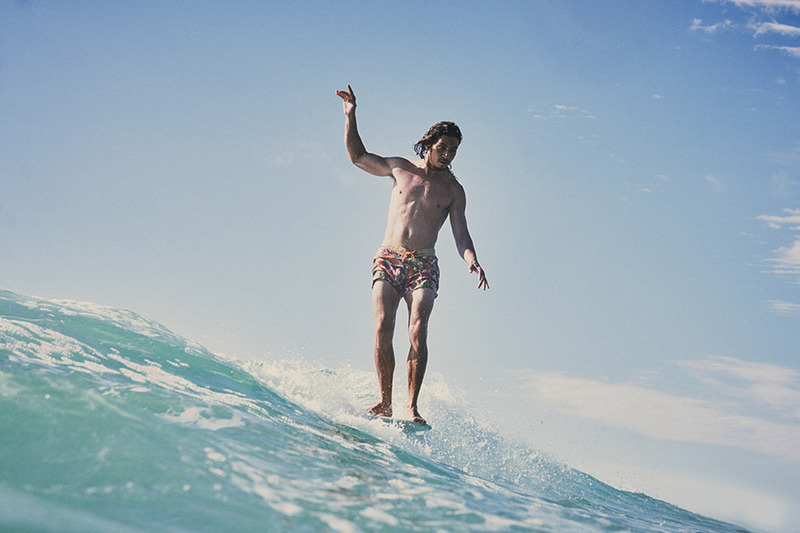 I came to be a seller at Finders Keepers through the Byron Bay Market community. There is a strong design culture in Byron and it didn’t take long to get the tip that I should be selling at FK. I started Saltys after 6 years designing with another label called Sea Apparel. Once my wife and I had our son Woody I needed some flexible work hours as we juggled work and family. So I took a screen printing course so I could print my own tees which assisted in stock control and I started designing shorts for my new label Saltys with the plan to sell at markets throughout the Byron region. 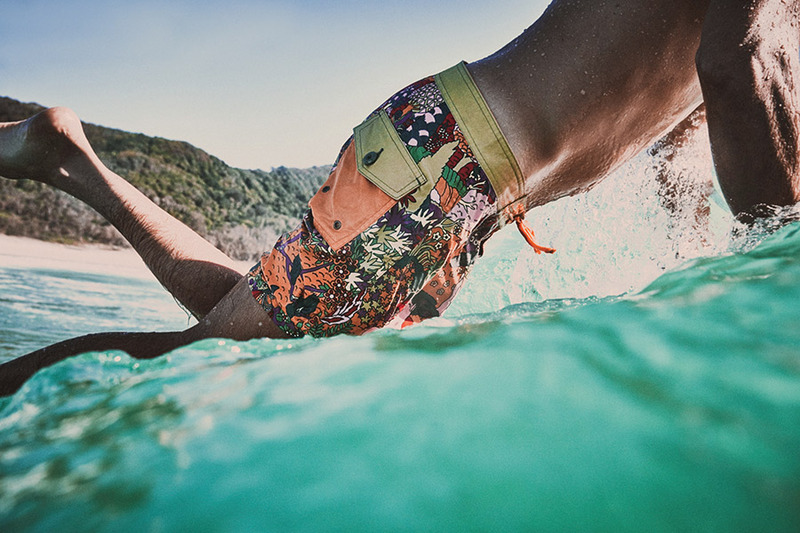 Saltys is a boutique surfwear label. 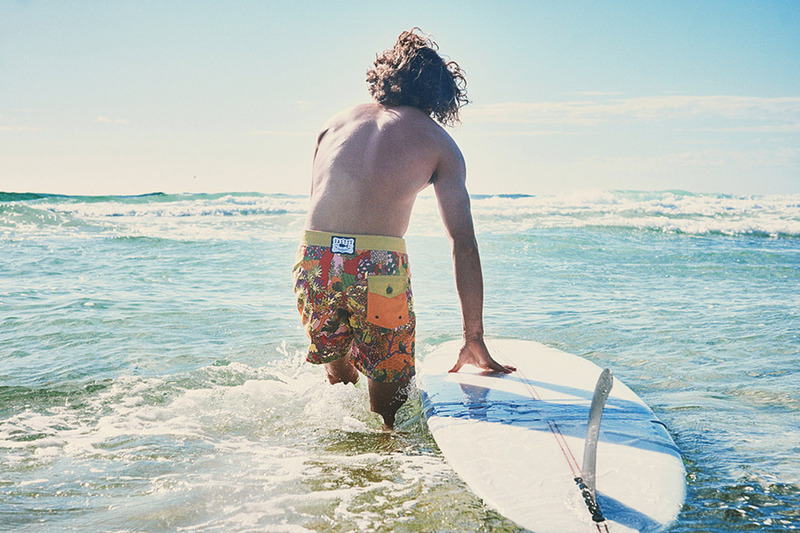 Small runs of boardshorts & shorts, tees and caps with an accent on colourful yardage prints and limited branding. A picture is worth a thousand words. Talk us through a typical day in the life of Saltys. There is no such thing as a typical Salty day. It’s more of a weekly or seasonal cycle. As a one man band I am across many things in the work week. Stock control, printing tees, online sales, marketing, social media, photo shoots, selling at the markets, planning our market calendar and overseeing productions abroad. And in between that, I need to find the time and creative space to design new yardage, tees and cuts. That can be challenging. My advise to first time sellers at FK is “DO IT..” Don’t die wondering. And once you do, get ready for a ride. Get stocked up, make sure you have a banging set up that showcases your stock and your brand. You are on show. There are plenty of eyes and itchy wallets at your disposal.. Put your best foot forward and give it your best crack.. You won’t regret it. I get inspired by the weirdest things. Art, movies old design mags, curtains. Artists really fire me up. Andy Davis, Geoff McFedridge and Jeff Canham are always on the radar. My 8 year old son’s drawings have recently really got me thinking. The unthinking. Considered but naïve. He made me a birthday card the other day that just said HAPPY. The font was amazing. I think I may turn it into a tee next season.. I can’t name a designer that floats my boat at FK. Someone catches my eye every season. So many creative folks. It’s overwhelming at times. I like seeing what my Byron buddies come up with. They push and support me as I do them. Rowie and Bandikoot. In 5 years I think I will be wholesaling a bit more. I am opening my first shop in Bali soon. Exciting and scary. Yep, wholesale and do a few design markets like the Finders Keepers and get a few Sundays back to enjoy with my family.